Mark Ramotar, an award-winning journalist and former newspaper editor, now heads our content team here at Consult PR. This team is made up of writers who are truly that - writers, with a diverse background in journalism, editing and formal writing experience. The main goal of these expert wordsmiths is to strategically promote and expand the digital footprint of our company’s clients in the digital content arena via targeted social media posts, e-Newsletters, press releases, and more. Mark brings a wealth of experience to the table, which spans over two decades in the mass media field during which he served in various capacities from reporter to editor-in-chief for a major national as well as two privately-owned newspapers and online publications. Mark joined the Consult PR family in early 2018 and his humble upbringings have prompted him to readily admit that writing content for digital marketing – even though exciting and in line with his forte - is no walk in the park but a different ballgame from his traditional comfort zone of journalism and mass media. Mark understands that it takes time to truly get the voice and branding message of a digital marketing client in order to create the right content. While subscribing to the popular notion that ‘content is king’, Mark has expressed the view that good content marketing will attract more eyeballs, generate more sales and reach those digital consumers who will engage with your brand. On a personal note, Mark is quite the presence in the room if you ever get the chance to meet him as he is 6’4” and weighs 260 lbs. However, despite the tough exterior, this multi-talented figure is actually extremely friendly, approachable and sociable. Simply put, Mark refers to himself as a proud member of the “always have a good time club”. He’s known for his compassion, integrity and charitable endeavours and is a well-respected member of his community. Mark lives by the credo that ‘if you have nothing nice to say to someone then it’s best to not say anything at all’. He is also a devoted family man, and unlike the travelling and late hours at the office from his previous demanding career as a newspaper editor, his current role at Consult PR is a perfect fit as it allows him to spend more quality time at home with his wife Teema and three daughters – Rhea, Simran and Jhanvi. Mark’s hobbies include shooting pool with his friends and a variety of board games especially chess. He’s also an avid cricket and car racing fan. Mark loves to travel and meet new people from different countries and cultures. Over the years, he’s travelled extensively to several countries including China, Austria, Belgium, Ireland, Switzerland, Canada, England, Mexico, Netherlands, India, Barbados, Trinidad & Tobago, Cuba, Jamaica, Antigua, St. Lucia, Panama, Brazil, Venezuela, Suriname and Colombia. On an academic level, Mark was the proud winner of a 2004 scholarship to study Journalism at the Jawaharlall Nehru University’s Indian Institute of Mass Communication in New Delhi, India. Among a batch of over 20 journalists from 17 different countries, he graduated “first in class”, winning the overall best graduating student award. 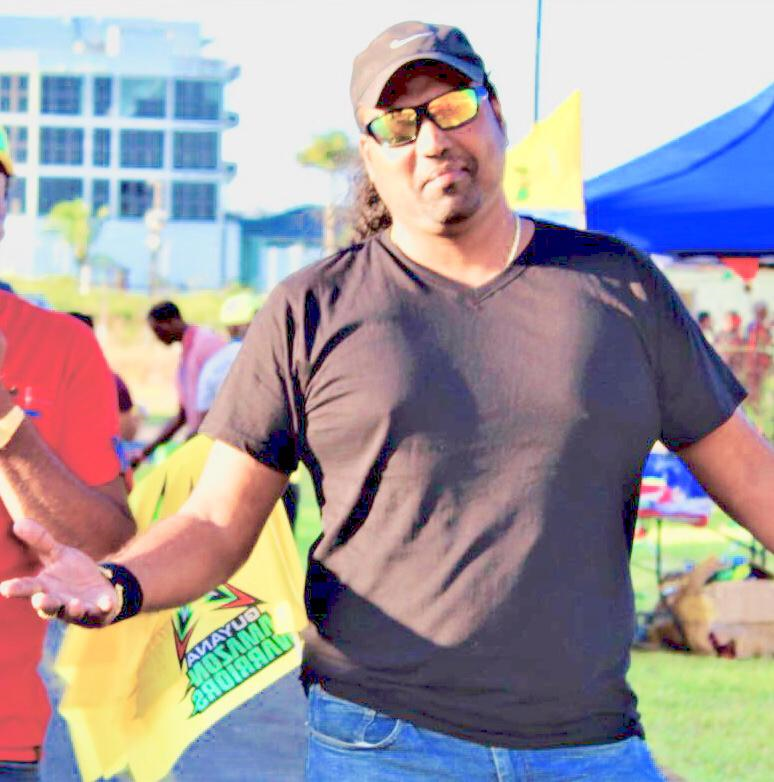 He also successfully completed a journalism course in Newspaper Editing at the Commonwealth Press Union (CPU) in London and a certificate course in Business Management from the University of the West Indies (UWI). Mark also graduated with an MBA from the Australian Institute of Business. With that kind of background and experience, we here at Consult PR cannot express how happy we are that Mark joined our family. 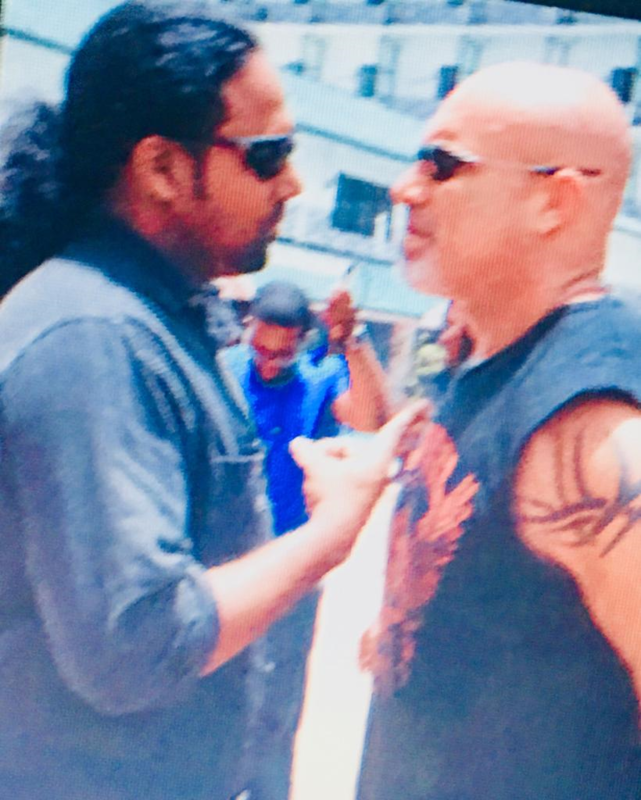 Mark Ramotar jokingly squares off with Hollywood star & professional wrestler Bill “Goldberg”.